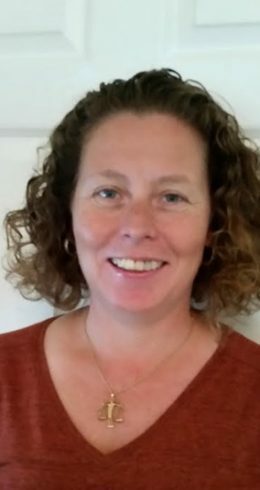 The OT Service, founded by Kate Sheehan, offers specialist housing occupational therapy nationwide, and Kate leads the team of world-class, hand picked, professional occupational therapists. We only provide experts in housing and equipment. We pride ourselves on being one of the leading OT companies that only specialises in this field of practice. Kate qualified from Derby School of occupational therapy in 1987. Kate is a well-respected Occupational Therapist, with 29 years of experience. Kate is the former chairperson and treasurer of the College of Occupational Therapists specialist section – Housing (COTSS – H) and represented the College of Occupational Therapist in Europe. She presently chairs the genHOME research project working on the evidence base for housing modifications. Kate worked with Bristol University on the publication of ‘Minor adaptations without delay’, funded by the Housing Corporation and College of Occupational Therapists and is presently working on the new edition of the Wheelchair Housing Design Guide. Kate maintains a high level of professional development and feels the key to providing her clients with an excellent service is maintaining close networks within the commercial, housing and OT fields. Kate has presented her work on Inclusive design and housing standards at The College of Occupational Therapists Annual Conference 2004, COTSS-H conference 2005, Assist UK annual conference 2005. At the COT conference, Innovating through Inclusive Design 2006, the World Federation of Occupational Therapists 2006 in Sydney, Australia, COTEC Autumn meeting 2006 in Milan, Italy, COTSS-H conference 2008, BMA conference 2007, Athens, Greece 2009, Zagreb, Croatia 2011 and Bosnia 2015. Kate is a member of the British Association of Occupational Therapists and the College of Occupational Therapists Specialist sections – Independent Practice and Housing as well as being registered with the Health Care Professionals Council. In her spare time Kate is a primary school governor and campaigner for excellent education for all. Gordon qualified from Sheffield Hallam University in 2003 and completed a post Graduate Diploma in Accessibility and Design from University of Salford in 2012. Gordon specialises in housing adaptations with an interest in making buildings work for their occupants. He provides assessment for equipment and for moving and handling. Gordon has a long history of working with children with disabilities and their families. Gordon is a freelance trainer for a company who provide OT training across the country on all matters relating to housing and their use by disabled occupants. Gordon is a member of the British Association of Occupational Therapists and the College of Occupational Therapists Specialist sections – Independent Practice and Housing as well as being registered with the Health Care Professionals Council. In his spare time Gordon loves to travel with his family to experience what other countries and cultures have to offer. People with hidden problems e.g. neurodiversity, sensory integration issues and mental health challenges. Highly creative people who struggle to harness and integrate their strengths at work. Individuals in crisis who need to make a radical shift. As a coach, I work with a variety of tools, developmental frameworks and theoretical models. I am a visiting lecturer at Worcester University and regularly teach coaching skills to various groups. I also work with teams and at an organisational level, especially where radical creativity and systemic change is required. I have a special interest in developing new ways of working and the use of social media to promote therapeutic businesses. Jen Gash is a domestic goddess whose talents are thwarted by a dirty dog and an inability to work the dishwasher. She fancies herself as a comedian but unfortunately finds herself funnier than others seem to. She has skills in flea chasing, killing red mite and treating chickens who are depressed. Jen is a member of the British Association of Occupational Therapists as well as being registered with the Health Care Professionals Council. Adam Ferry attended Durham University in 1999 studying Sport Science and Biomechanics. He graduated from Northumbria University in 2007 with Occupational Therapy BSc. After developing his skills on a hospital based rotational post Adam took up a senior role within emergency care. Adam currently manages occupational therapy services into three community rehabilitation units and one acute hospital. Over recent years Adam has established a national profile within the private sector, organising the CPD programme for The OT Show and working with a number of manufacturers and distributors of healthcare products in a consultancy role. Adam is a member of the British Association of Occupational Therapists and the College of Occupational Therapists Specialist sections – Independent Practice and Older People as well as being registered with the Health Care Professionals Council. Rachel graduated from Coventry University in 1994 and has MSc Accessibility and Inclusive Design and in 2016 was awarded her PhD in Occupational Therapy. Rachel’s area of expertise is in providing comprehensive home based environmental assessments and interventions for people with impairments caused by either the ageing process, chronic long term conditions or injuries. With over 20 years of clinical experience, she has the experience, skills and ability to assess individuals whose situation and needs range from the simple to the complex. In addition, she is able to offer a range of interventions and advice, including housing modifications, assistive technology, activities of daily living rehabilitation and fatigue management. As an independent practitioner, she provides a high quality service to individuals, family members, carers and case managers. This service is driven and underpinned by person centred practice and based on sound clinical evidence. Rachel is a member of the British Association of Occupational Therapists and the College of Occupational Therapists Specialist sections – Independent Practice and Housing as well as being registered with the Health Care Professionals Council. In her spare time Rachel climbs mountains with her husband and son…usually in the rain. Simon graduated from Charles Sturt University in Australia in 2002 and a further qualification on People Handling Train the Trainer June 2011. Simon is a highly experienced Occupational Therapist since graduating he has gained extensive experience working with clients in a variety of health and social care settings in the UK and Australia. He has worked in private practice, rehabilitation centres, local authority settings, community rehabilitation teams and hospitals. He has experience working with clients in a wide range of clinical fields including spinal cord injury, neurology, acquired brain injury, amputees and orthopaedics. He has extensive experience in both the private and statutory sectors of providing home assessments and design of major and minor home adaptations. He has worked in specialist housing teams and is experienced in working alongside architects and surveyors. Simon also has expertise in recommending specialist equipment and assistance technology to enable his clients to remain active and independent within their homes and communities. Simon is a member of the British Association of Occupational Therapists and the College of Occupational Therapists Specialist sections – Independent Practice and housing as well as being registered with the Health Care Professionals Council. Lucy graduated in 2001 from Brunel University Brunel University and completed a postgraduate Diploma in Accessibility and Inclusive Design at University of Salford in 2009. Since qualifying Lucy since has gained a wealth of experience working with both children and adults in the statutory and non-statutory sectors. Lucy has worked with a variety of Local Authorities, housing providers and private companies and spent 2 years working abroad for a charity, with disabled Romanian orphans in a state run institution. Through her many roles working within the community she developed my passion – to bridge the gap between social care, health and housing. She strives to improve awareness and develop links between these sectors to highlight how health and social welfare is dependent on suitable, accessible and safe housing. Lucy is a member of the British Association of Occupational Therapists and the College of Occupational Therapists Specialist sections – Independent Practice and Housing as well as being registered with the Health Care Professionals Council. Tess qualified from the University of Brighton in 2006. 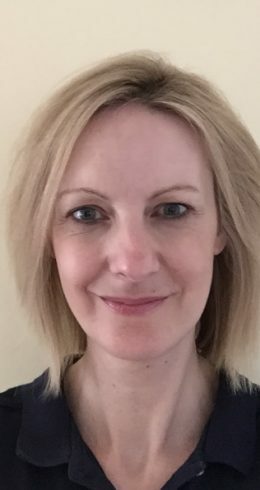 Tess is a highly skilled Occupational Therapist with 10 years experience specialising in paediatrics, housing and moving and handling. 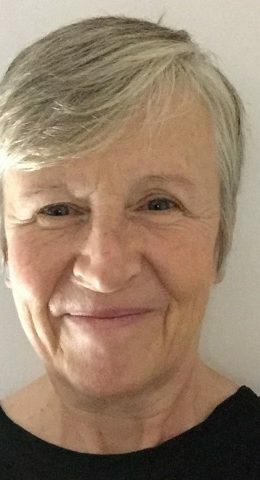 She has worked across both public and private sectors with children and adults with complex health and social care needs, including orthopaedic and neurological conditions, spinal injuries and conditions caused by the brain, physical injury and trauma. 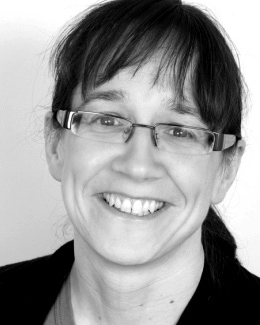 Tess has a wealth of experience carrying out holistic, functional assessments, making recommendations for specialist equipment, postural seating, minor an major adaptations to maximise a persons potential and promote inclusion. Tess is accomplished in the design planning process and will recommend options that combine functionality, aesthetics and budget. Tess is accustomed to working with architects, surveyors and case managers. Tess has a particular interest in moving and handling and is an accredited trainer. 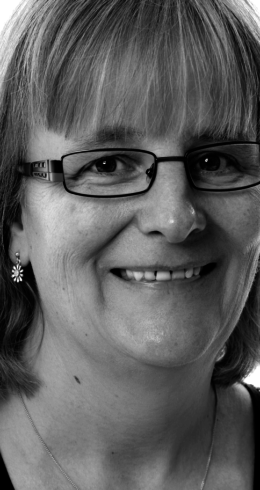 She undertakes complex risk assessments, devises handling management plans and delivers training. Tess maintains her professional registration through supervision, reflective practice and attendance at training courses and conferences. Tess is a member of the British Association of Occupational Therapists and the College of Occupational Therapists Specialist sections – Independent Practice and Housing as well as being registered with the Health Care Professionals Council. Hear what our customers have to say about our team. A highly valued ‘extra member of our team’. When it comes to identifying customer needs and wants and helping us to develop new product designs, Kate’s advice is always concise, clear and very illuminating. Repose Furniture has been working with Kate since March 2015 and we are extremely pleased with the results. 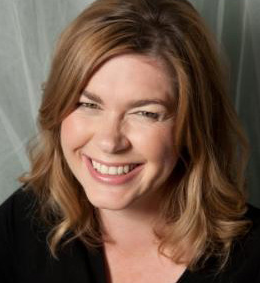 Kate immersed herself in our business from day one and has proved to be an extremely influential ambassador for Repose. Kate’s wealth of experience allows her to bring considerable value to projects she is involved in and her passion for the work she does is contagious. Receiving an endorsement from the College of Occupational Therapy for our CPD modules was the icing on the cake. The OT Service has been instrumental in the continued success of the Occupational Therapy Show, they are responsible for the development of the show’s CPD conference programme, which delivers seminars to over 4,500 delegates. Their service is always outstanding.